A candid interview with Face Off host and AKC National Championship #TeamHound representative McKenzie Westmore. An interview with the executive producer of Face Off, Mission Control Media’s Dwight D. Smith. Face Off: Battle Royale, an all-star season, will be the final season of the makeup and effects competition series, as Syfy has killed the show. Syfy will bring its makeup effects competition back this year, but GSN won’t air any more of the RuPaul-judged body painting competition. 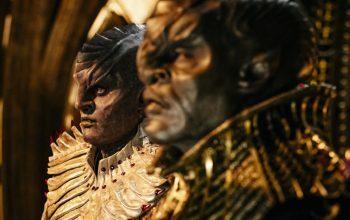 Star Trek: Discovery’s makeup and creature effects, including the new Klingon design, was done by Face Off judges Glenn Hetrick and Neville Page. Face Off: Game Face improves on the regular Face Off in many ways, giving returning all-star contestants a chance to show their skills in new challenges. 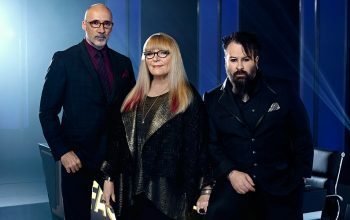 Each episode of the Face Off spin-off Game Face will have four all-star contestants competing against each other in timed challenges to win $10,000. 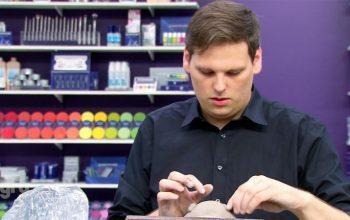 The shop versus shop format on Face Off led to a confrontation between a foreperson and a team member that spilled over into judging. Face Off: All Stars has produced some delightful surprises this season besides its episode-one twist, which revealed teams wouldn’t be eliminated each week. An interview with the executive producer of Face Off: All Stars. The cast of the next season of Face Off has been announced, and they are all returning contestants. Face Off: All Stars will debut in January. 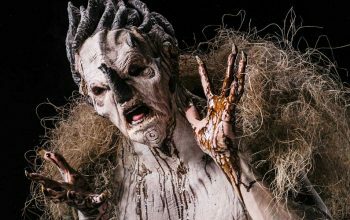 On the Face Off season 10 finale, finalists created a demon and another character for a short horror film. The makeup succeeded, but the films, not so much. 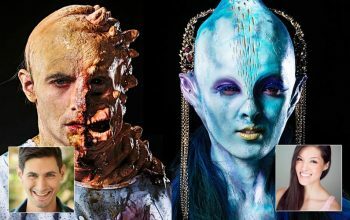 Two Face Off models, Matt Chris Wood and Isabelle Du, talk about what a typical day on the set of the Syfy reality competition is like. One of my favorite challenges in the history of Face Off is the season-one challenge, where the contestants made themselves up to look like other people and then interacted with their own family members, to see if they’d be recognized. The results really showcased their talent.